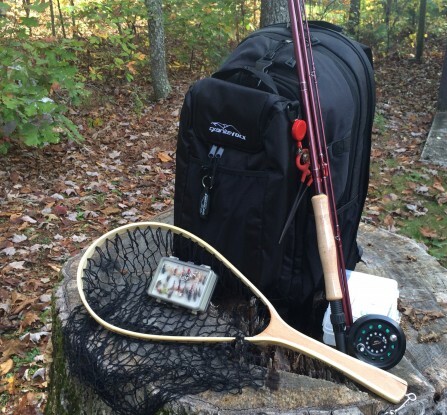 The Tahoe Backpack is a totally unique backpack and cooler system designed to carry any type/size folding chair, multiple chairs at once or other pieces of equipment, however the design is proving valuable to anglers who want to get off the trail and hike to new waters giving them the ability to store their gear keeping hands free while they hike to a new fishing hole. 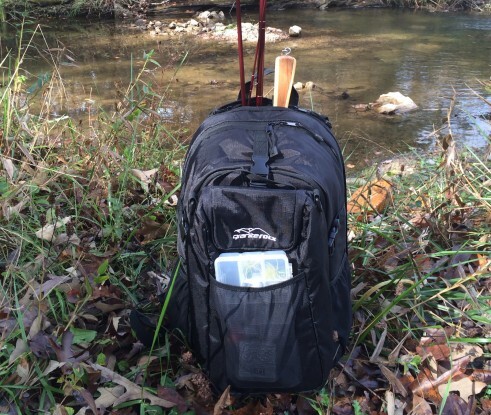 The cooler system is a 12 can insulated detachable pack that can be used by itself if desired. A stylish and comfortable backpack with the back chair/gear compartment. Granite Rocx LLC was founded in February of 2013 by Stephen Berei and Sophia Berman. They were determined to provide exceptional backpack and cooler products with a unique design. The idea of the Granite Rocx Backpack Cooler was to kill two birds with one stone, and that's exactly what they have done. The Tahoe backpack is designed to carry your items, any type of folding chair, multiple chairs or your fishing gear. What makes this Backpack so unique is the detachable cooler that can hold enough food and drinks for a weekend and is insulated adequately enough to keep items cool or hot for a long time. Allows one to carry any type of flat folding chair or other equipment. The back compartment of the bag unzips to reveal an open space. Squeeze buckles with long, reinforced webbing straps allow the chair or other equipment to remain stable and securely held at the back of the pack. The bottom of the backpack contains straps with squeeze buckles, which can carry a cylindrical folding chair, tent, sleeping bag, yoga mat, towel, etc. Shoulder strap pocket for phone, iPod, etc. Side pockets for drinks, etc. The front bungee system can hold a towel, jacket, etc. The Tahoe Backpack, available in black, has several easily accessible pockets, including two pouches on each side perfect for water bottles, a front zippered pocket with internal smaller pockets for organizing your gear, a cell phone pocket attached to the padded shoulder straps, and front bungee straps that can hold extra clothing or other gear. The main pocket has a large interior compartment that can be used for transporting almost anything needed with extra room. The detachable cooler bag is the best innovation of this product. The cooler attaches to the front of The Tahoe Backpack with three squeeze buckles. The cooler includes a removable shoulder strap that allows the cooler pack to be used separately from the backpack. The cooler is large enough to contain up to 12 canned drinks with a capacity of 35 and 30 liters respectively, the Tahoe Backpack will hold everything you need. A good product all around, the Tahoe Backpack with a detachable cooler brings innovation to outdoor enthusiasts who are needing to bring necessities along for the day. The Tahoe emerged from a need Steve Berei had for a functional backpack that could carry his folding chair along with a cooler. He was biking to the beach one day and realized a design that could fulfill his needs while still being able to use the backpack and cooler as separate pieces. Disclosure of Material Connection: I received Tahoe Backpack for free from Granite Rocx LLC as coordinated by Deep Creek Public Relations in consideration for review publication.